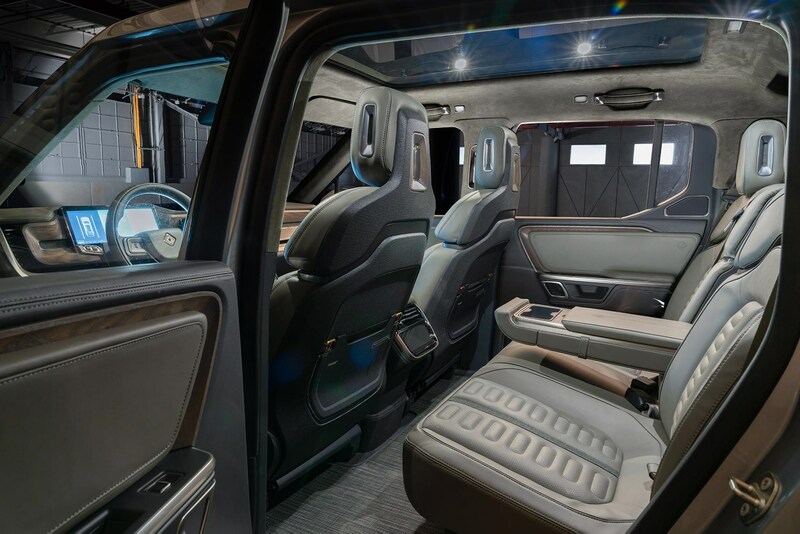 Cutaway shows the Rivian R1T interior; just remember you'll have doors here normally! 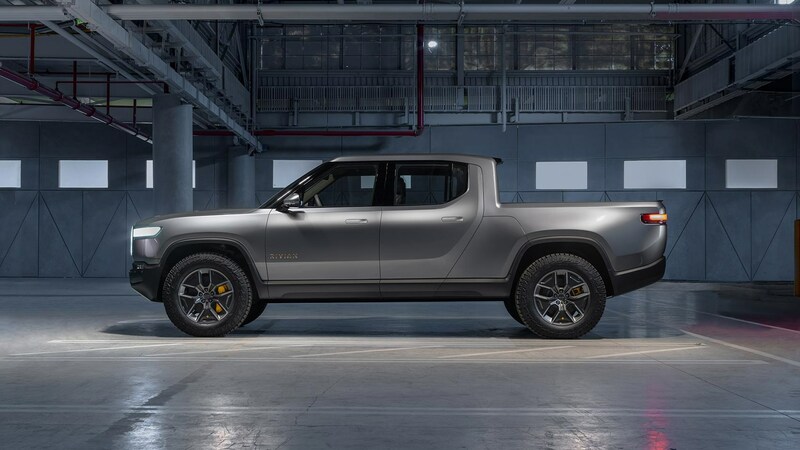 You're looking at the new Rivian R1T electric pick-up - the first fruits of a new start-up company based in Michigan and launching at this week's Los Angeles auto show. It's a silent, zero-emissions truck a little bit bigger than the ubiquitous Ford F150, at a colossal 5.4 metres long. 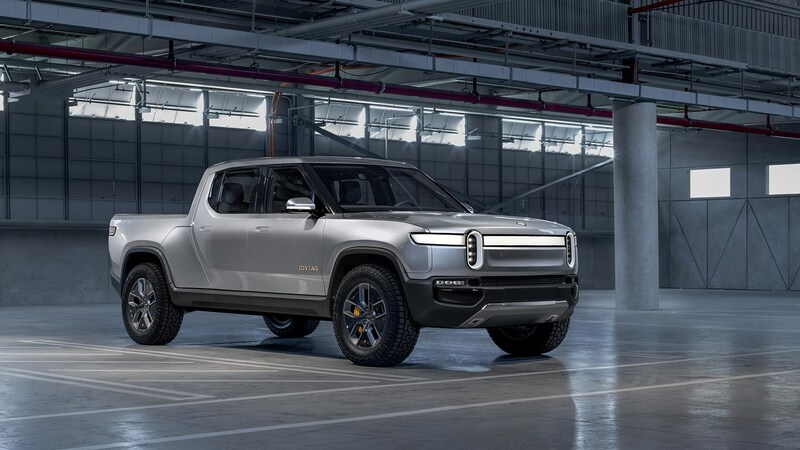 The disruptive Rivian hopes to shake up the adventure market and believes that the current swing away from internal combustion engines in city centres will quickly spread to the great outdoors. If you think about it, this makes perfect sense: why should humans bring noise and belching emissions to the world's beauty spots? So the R1T has an electric powertrain, cleverly packaged into a skateboard platform that will underpin all future products (there'll be an SUV shown at LA, too). And these guys have creds - the architecture was engineered by Mark Vinnels, the engineering director poached from McLaren. He also launched the MP4-12C supercar. Remember that? Bold claims. We'll be poring all over the cars at the LA show this week, so stay tuned for more on Rivian in the coming days. More importantly, the most expensive versions with the biggest battery capacity will be capable of more than 400 miles on one charge. When charging, the full-width light bar pulses, to show how full the battery is. This car is dripping with clever touches like these 'stadium lights', penned by design chief Jeff Hammoud, formerly of Jeep. 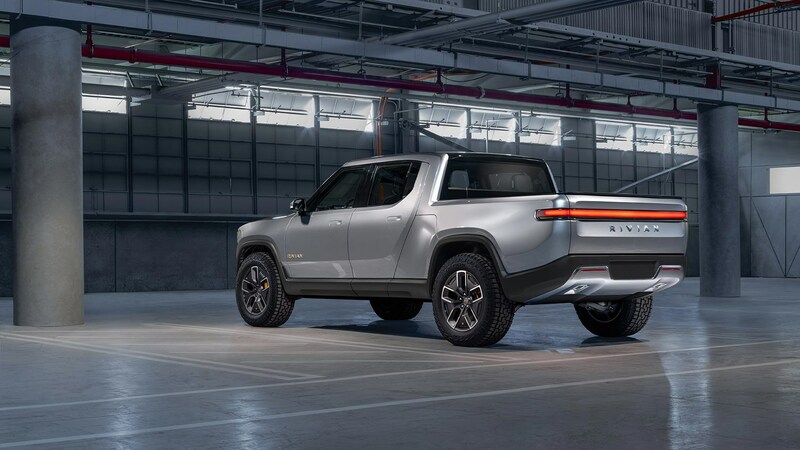 Who the hell are Rivian, anyway? It's a new start-up in Plymouth, Michigan and already has five locations, including an R&D base near Woking in the UK with some 20 staff. And they're a pretty serious outfit, with some big names poached from the automotive mainstream. The name Rivian is derived from ‘Indian River’, the estuary that ran through the founder's childhood backyard in Florida. And that badge? The company’s logo is an interpretation of a compass, suggesting the North, South, East, and West of adventure. Every product Rivian makes will be a proper, authentic off-roader - with a focus on utility, including wipe-clean floors and the like. 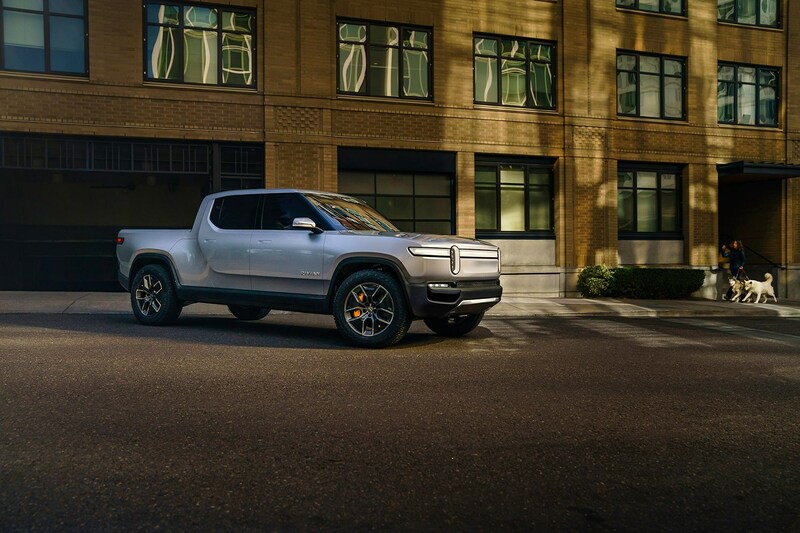 'We’re launching Rivian with two vehicles that reimagine the pickup and SUV segments,' said Rivian founder and CEO, the engineer RJ Scaringe. 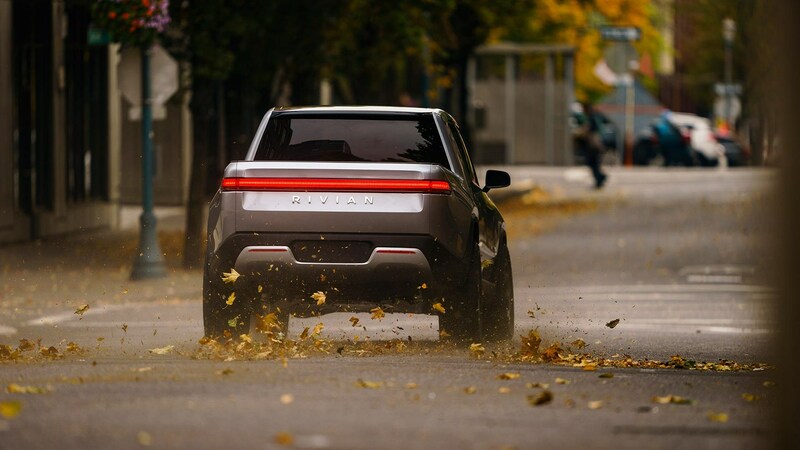 'I started Rivian to deliver products that the world didn’t already have – to redefine expectations through the application of technology and innovation. Starting with a clean sheet, we have spent years developing the technology to deliver the ideal vehicle for active customers. The interior of the R1T is just as radical as the exterior. We haven't yet poked around it, but we have met its makers and they are clearly out to shake up the sector. 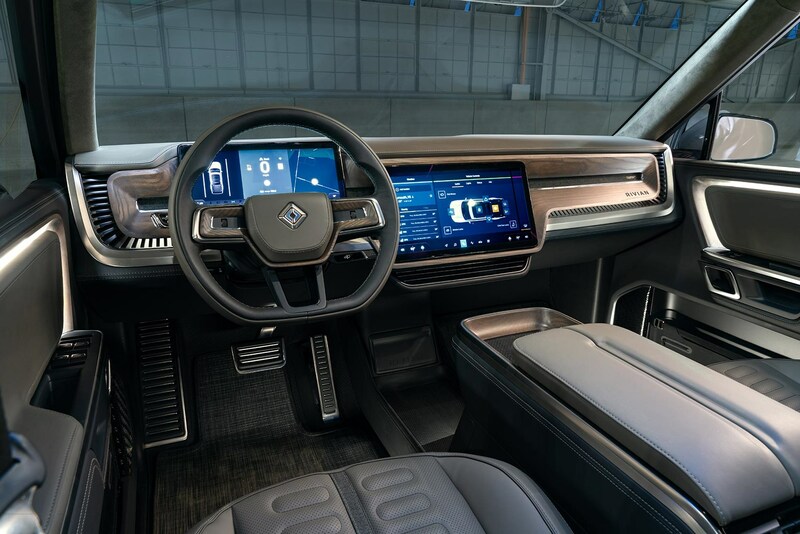 So there are unusual materials, wipe-clean surfaces, a proprietary digital infotainment system. 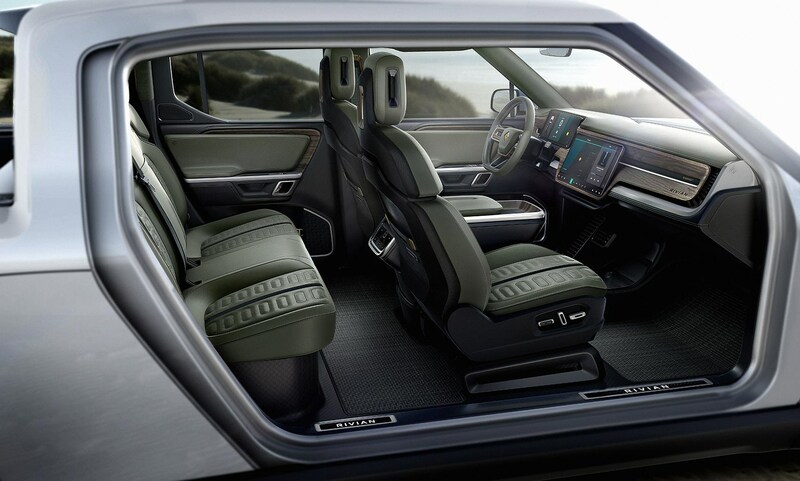 Because of the skateboard platform, all Rivian vehicles have lots of interior space. Note the lack of transmission tunnel intrustion in the photos inside the double-cab. There's also a very neat storage solution just ahead of the rear axles; the back seats have been packaged so you can carry long loads in the transverse ski hatch - it'll gobble 350 litres of poles, tents, or any other long load you'd care to think of. Best not stick the kids in there, though, unless they've been really naughty. The loadbed itself is large, and accessed through a flip-up boot that incorporates clever pop-out steps. It's 1400mm long with the tailgate up and 1385mm wide. 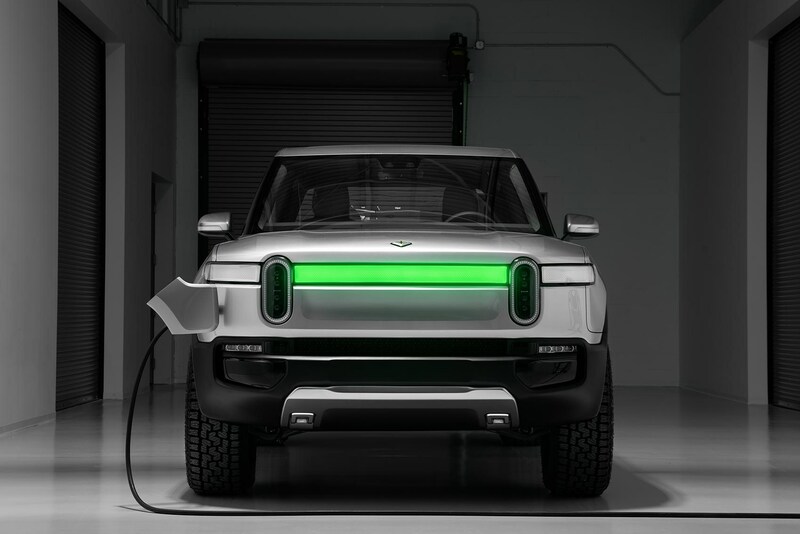 Rivian: could it actually work? This is the $64,000 question. Anyone can launch an electric car brand these days, and Rivian has a promising proposition on its hands. It also has an ex-Mitsubishi factory ready to roll, capable of producing up to 350,000 vehicles a year in Illinois. Interestingly, the company plans to 'white-label' its electric car platform, and it plans to approach luxury and sporting brands - letting a company like, say, Nike build its own electric car. That's an ambitious ambition. But one that reflects how fast the car industry is changing, as electrification and autonomy bend all received wisdom.